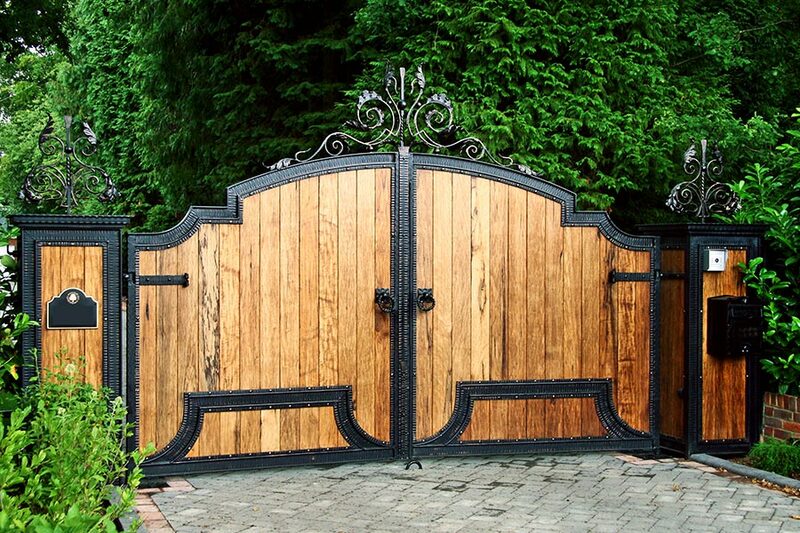 Otherwise known as solid or closed pattern swing gates, this type of gate requires a much more powerful operator than your typical open pattern gates. WHAT MAKES CLOSED BOARDED GATES DIFFERENT? Wind! Wind affects the force required to push and pull the gates. Imagine walking in to a gale holding a large board in front of you, it would be significantly more difficult – either pushing you back or dragging you in to the wind. This is the same with your gates. Open patterned Iron and wooden bar gates allow the wind to pass through the gate, with little resistance they will move freely and easily. Closed boarded wooden and iron gates have massive amounts of resistance in windy conditions making them hard to move and unsafe if the operator were to fail. *The leaf weight, width and wind conditions massively affect the suitability of these kits and can make them unsuitable, so use this page only as a basic guide. We would strongly advise that you call us on 01282 677300 so that we can help you to decide if the operator can handle the gate dimensions and conditions for your specific installation. We accept no responsibility for the suitability of the operator and warranties may become invalid if not they are not installed correctly so please do get in touch for advice prior to purchase.